The graduation is a solemn and formal event that not only students look forward to but also parents, friends and professors. The event is special in itself considering the activities and elements that contribute to this memorable occasion. The graduation ceremony is definitely made more elegant to witness to by how these candidates for graduation and professors look during the event. The wearing of the academic regalia makes the whole event more meaningful. The academic regalia are composed by three basic academic items. These are the academic gown, hood and hat. The wearing of the academic regalia had been embraced by numerous academic institutions for years. They are not only a tradition practiced in one part of the world but to all different places. In every commencement exercise, people had taken glimpse of different academic regalia and that is because, each one has a distinct academic regalia pattern. The academic regalia pattern of a bachelor’s is different to that of the master’s and the doctorates. Although they may come in the basic items, there are differences that can be pinpointed to these pieces. Originally, the materialization of these different patterns founded on the development of casual every day robes worn by people. Back in the day, robes are worn as normal street clothes by both males and females. In fact, these robes are also an implication of a person’s standing in the society. The elites or rich people would be highlighted by demonstrating well-designed robes which are embellished with embroideries and other items. Taking into account the role that these clothing supplies in the society, these robes had evolved into different kinds to which various groups and guilds created their own distinguishing patterns that emphasizes their members. The academic sector on the other hand, created their respective robes and gradually, different kinds had emerged indicating a particular degree of education. The bachelors, masters and the doctorates had each individual robes that underlines their degree. With this being said, the tradition had been adopted and up until the present, it is still being embraced. The academic regalia pattern of a bachelor’s is distinguishing in a sense that it comes with pointed sleeves and they usually come in a black shade and are worn closed in the front. As to its headpiece, the bachelor’s academic regalia generally include a standard mortarboard as its graduation cap. The master’s on the other hand, features oblong sleeves which are arched at the wrist area and goes to have a square cut at the bottom. The doctorate’s gown has a distinguishing velvet panels and sleeve chevrons. And instead of the basic mortarboards that are usually used by many, the doctorates use a soft velvet tam or those that resembles a beret with a tassel attached to it as its headpiece. They may each be different as to certain points, but its overall message holds likely the same. Implying academic achievements. 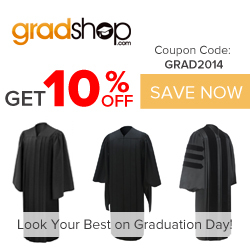 For good quality academic regalia, http://bestbuttman.info/academic-regalia.html provides just that. With its array of academic items, ranging from the bachelor’s to the master’s regalia, one can surely find its needed item of choice.